A local developer believes his 330-unit apartment project off Mullan Road will help soften the vacancy rate across Missoula when the first units open this May. Nate Tollefson of Tollefson Properties broke ground on the project last year. The total development consists of 13 buildings on 10 acres of ground behind the Carmike 12 theater. 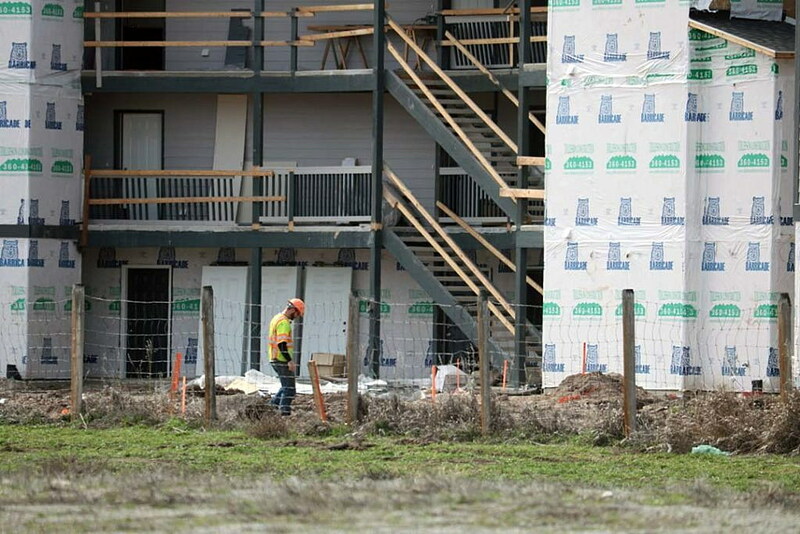 The first 114 units will be move-in ready this spring, while another 116 units will be available this fall, he said. The 2016 housing report released by the Missoula Organization of Realtors found that vacancy rates across the city increased from 3.9 percent in 2014 to just 4.1 percent last year, despite the number of new units to come online in recent years. The report described Missoula’s 4.1 percent vacancy rate as very low – well below the 7.1 percent national average. The city’s slight increase in vacancy rates had no effect on reducing the price of rent, which increased in nearly every category in 2015. Tollefson described the new apartments as moderately priced. The energy efficient units, ranging from one to two bedrooms, will include air conditioning, and they’ll be within walking distance of a number of amenities located in the North Reserve Street area. He said the location makes the project unique. Tollefson said his company has future projects in mind, though he declined to name the location, citing competition in the industry.